Soft Helmet Opti-Cool® Headgear add The Cool Factor In Safety! Soft Helmet Opti-Cool® Headgear Ideal for Indoor and Outdoor Activities and Safety! Head helmets, though indispensable for the preventative care for those with special needs and conditions such as autism; balance or bleeding disorders; epilepsy and motor developmental delays, are also necessary for anyone involved in all sorts of indoor and outdoor activities, that would either directly or indirectly risk their safety. When purchasing a soft helmet, attention must be paid, primarily, on the appropriate safety specifications – and Opti-Cool® has every item on the safety checklist covere d! Lightweight, durable, and with a ventilated protective-core, Opti-Cool® Headgear helmets are the first-ever of their kind to be fully molded using over ½ inch, Grade-A EVA foam. Sturdy and comfortable, each Opti-Cool® Headgear soft helmet comes with a Velcro chin strap, for optimum stabilization and extra protection. 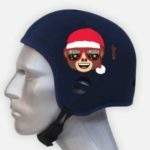 What’s more, thanks to Opti-Cool® Headgear’s patent technology, custom cold packs can be placed anywhere within the helmet, helping expedite the healing process for those with injuries, and affording a refreshing sensation, throughout wear. 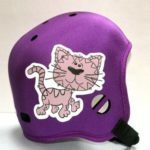 As with all accessories, Opti-Cool® Headgear helmets can be customized, showcasing each wearer’s impeccable sense of style, and adding a fun, finishing touch to any athletic getup! 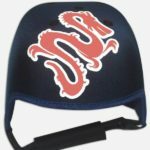 We offer fully customizable helmets using your own graphics. Or try one of our designs like the ever-trendy unicorn; an array of emojis, including various cat, flower, and face designs; as well as several classics, like flames, fire, and ice, and, of course, stars, are only some of the available custom helmets found in Opti-Cool® Headgear’s amazing helmet range! 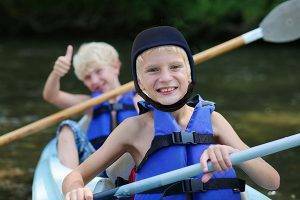 Armed with a custom Opti-Cool® Headgear soft helmet, any outdoor activity is safer – and much cooler! 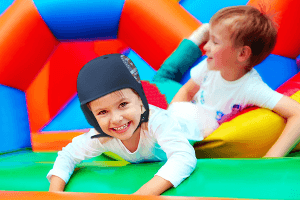 In addition to sports, Opti-Cool® Headgear helmets can be worn for any kind of physical activity, such as bike riding, scooting, roller skating, and general play. 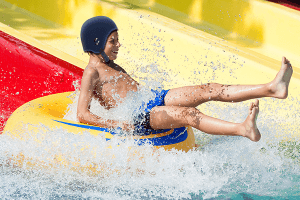 Also, the waterproof helmets are suitable during water sports activities, many use them for rafting, kayaking, and canoeing; and anywhere where extra care must be taken so as to prevent the occurrence of a head injury or the exacerbation of a pre-existing condition. Opti-Cool® Headgear ships worldwide, while all its helmets come with an unbeatable, 60-day, money-back guarantee! So, Don’t Forget! When It Comes To Fashionable Safety, Opti-Cool® Headgear’s The Way To Go! Click HERE To Choose Your Own, Custom Opti-Cool® Headgear Helmet, Today!